Executives all appear to agree - AI will soon be a crucial part of many companies. Virtually all business leaders view artificial intelligence (AI) as critical for their company’s survival over the next half of the decade. 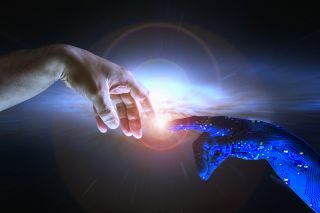 A new report by SAP SE, based on a poll of 2,500 C-level execs, found that nine in ten agreed AI was set to play a pivotal role in their business. Six in ten have said that they’re either implementing, or planning to set up AI within a year. A third are looking to invest between half a million, and $5 million, into AI, also within a year. SAP has taken this opportunity to emphasise that its S/4HANA cloud ERP offering has AI-powered automation. “We want to automate half of all ERP business processes within the next three years using AI-powered functionality,” said Bernd Leukert, member of the Executive Board of SAP SE, Products & Innovation. When it comes to building AI-related jobs, the UK seems to be the top location. According to a report by Indeed, there has been a threefold increase in the demand for AI jobs in the UK. The two most sought after positions by employers were data scientists and machine learning engineers as they play a critical role in teaching machines to use and interpret data.